The social video sharing app Socialcam is making strides to bring the most interesting content to its platform by landing the NBA’s Brooklyn Nets, hot off of its re-branding from the New Jersey Nets. 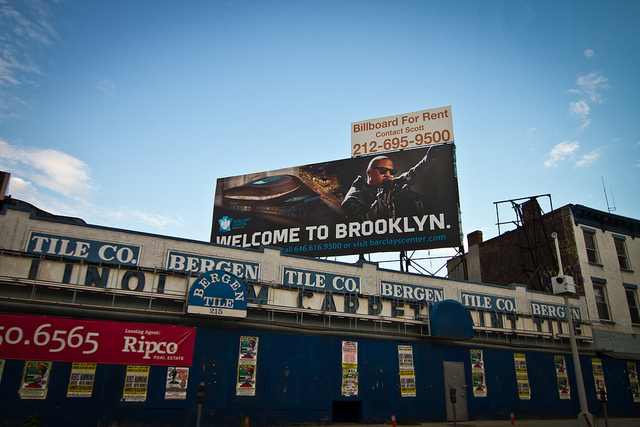 The team, co-owned by Jay-Z, will be moving to the Barclays Center for the 2012-13 NBA season, and has kicked off a new marketing campaign it calls “Hello Brooklyn.” Part of that campaign is joining Socialcam and presenting the team’s content to its community of over 35M (and growing). The Brooklyn Nets are always open-minded to exploring new platforms. Socialcam has had explosive growth and is a perfect fit with the team’s exciting move to Brooklyn. We want to be the most innovative team in sports and engage the digital community in Brooklyn and our fans globally. We’ve already gained 104,000 fans within a week, so it’s clear that Socialcam is a great platform and has unlimited growth potential. It’s really good to see huge brands like NBA teams adopt platforms that require a little bit of extra time and effort to engage fans. In the same way that Twitter broke into the mainstream with the infiltration of celebrities, platforms like Socialcam will benefit from known brands participating alongside the rest of its community. Socialcam counts Britney Spears as one of its users, and has over 800K followers. Socialcam currently sits in the #10 spot for free apps on the iOS app store, and currently sports 51.5M monthly active Facebook users, which is #1 on the platform.